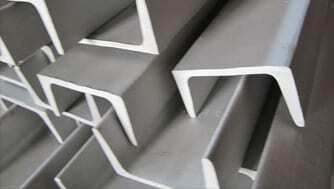 Stainless Steel U Channels - 304L U Channels | Stainless Shapes, Inc. The Stainless Steel U channel is like a square, the best way to produce it is to make all of the portions symmetrical. The U-channel is extremely durable and very reliable. Material available in 304L or 316L. U channel is offered in laser fuse non-tapered with smooth bead blast finish. We can offer customer made to order U channel up to 40’ long. Not sure what you are looking for contacting us for more information. The dimensions of stainless steel channels are the same dimensions that apply to each of our products. There is height, width, thickness, and length; these all need to fit certain measurements. However, the height and width are key factors in deciding what kind of channel you will want to purchase. Depending on these factors you could be purchasing a C-channel or a U-channel.